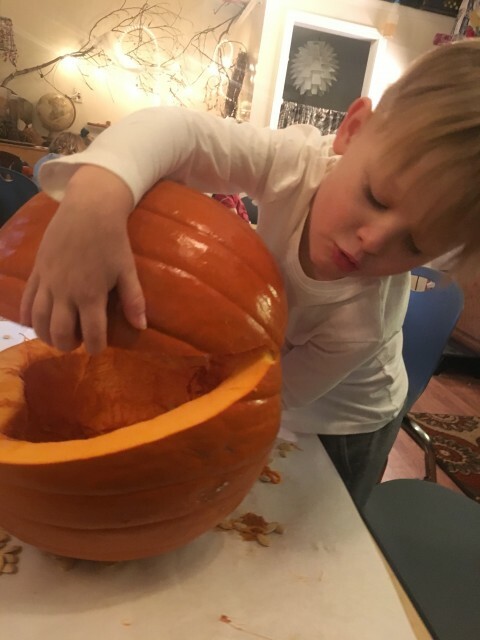 Children learn scientific concepts through real experiences such as playing in the mud, holding a cat, walking in the rain, jumping in leaves and playing with worms. 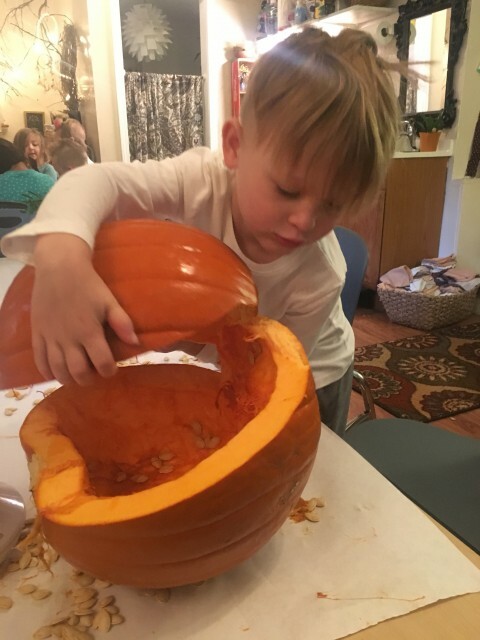 Today we integrated science in our day by cutting open a pumpkin. 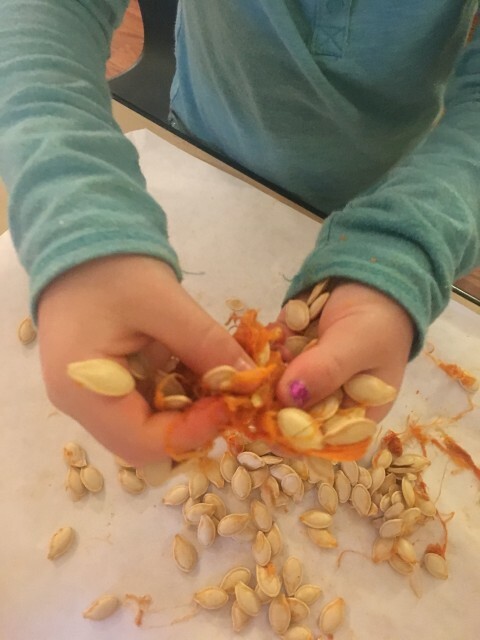 For young children science is a natural and spontaneous process – and sometimes a messy one. 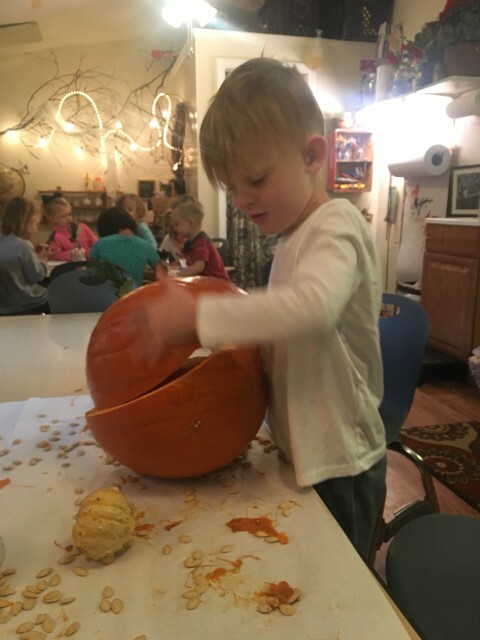 Teachers and parents enhance children’s understanding of science by allowing kids to “mess around ” in their physical world. 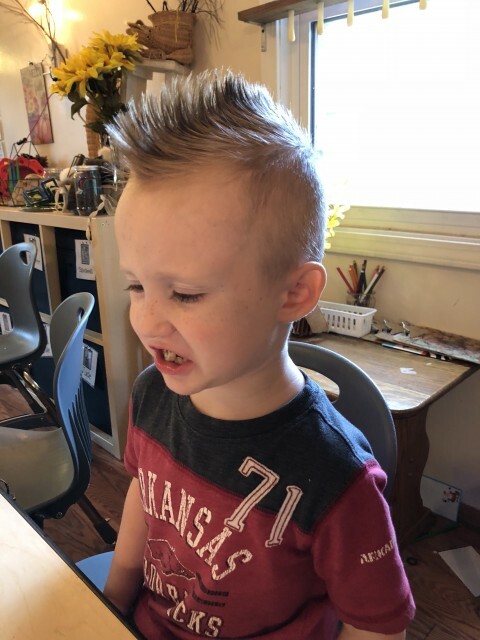 Our program promotes the development of the processes that are integral to science: observing, classifying, communicating, measuring, and inferring and predicting. 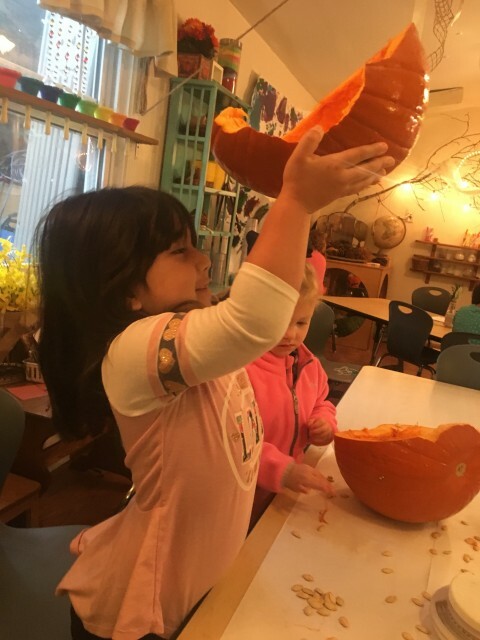 Observation skills are learned by examining rocks and leaves or by noticing the different sizes of shadows or deciding which side of the cut pumpkin is heavier. 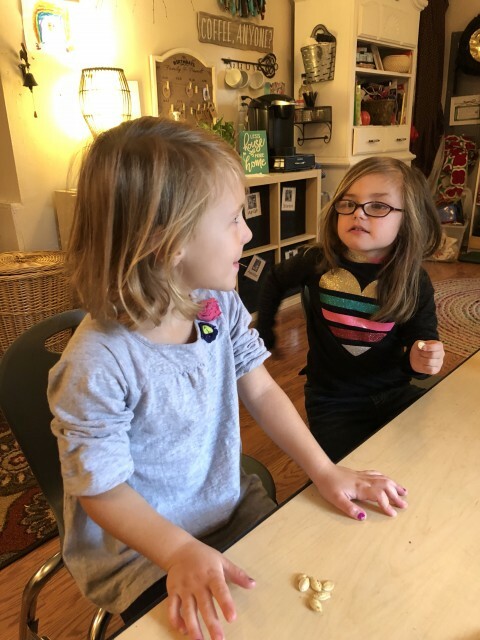 Classifying skills are learned by soaring buttons or shapes and recognizing the similarities and differences of objects. 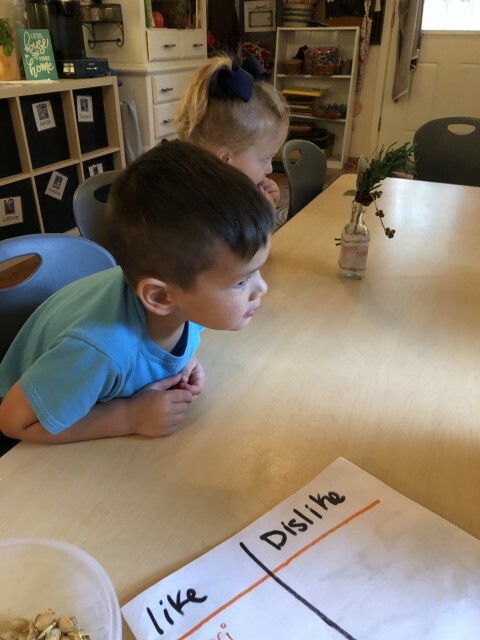 Children develop measurement concepts and skills by measuring how much a plant has grown or by using blocks to measure their friends height. 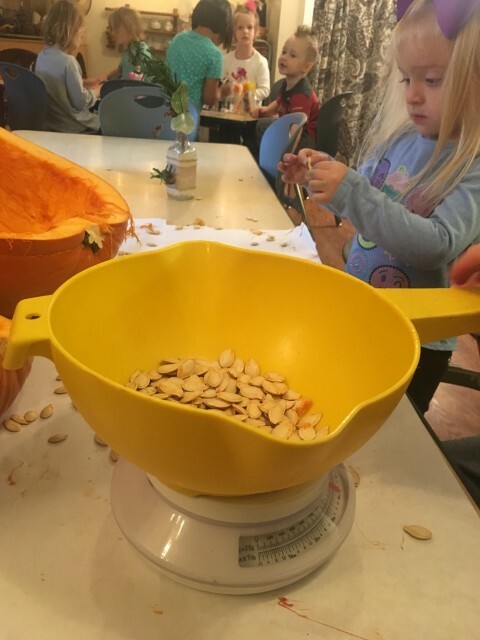 Today we weighed a pumpkin. Finally, children infer and predict outcomes by guessing what is inside a box or predicting what will happen when water is poured over ice. 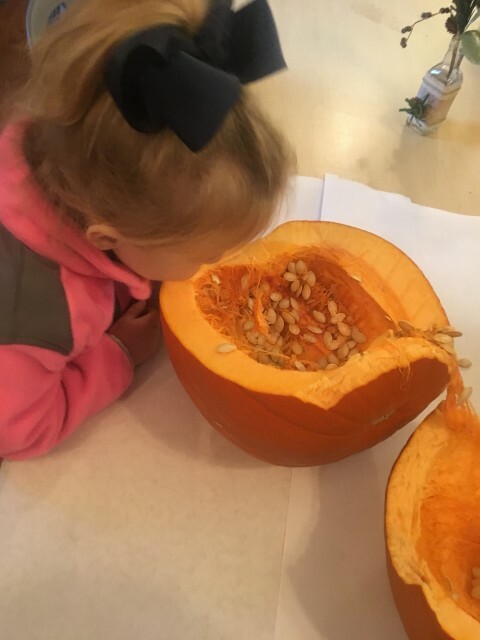 Today we talked about what might be in the pumpkin before we cut it. These are examples of ways in which science is used every day. 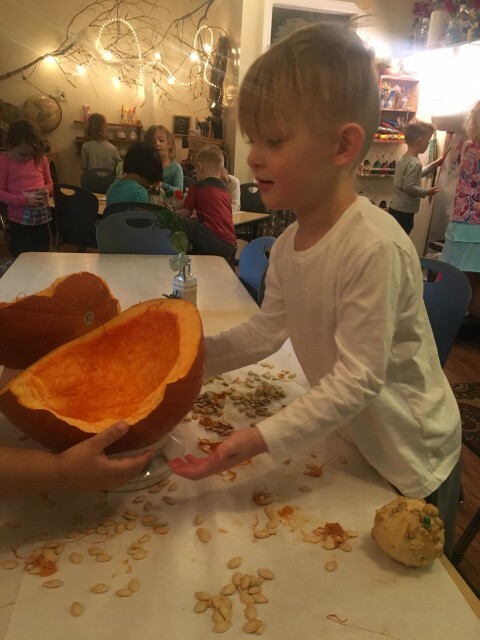 Including children and preparing supper, planting a flower bed, or building a bookshelf provides additional opportunities for children to experience science first hand. 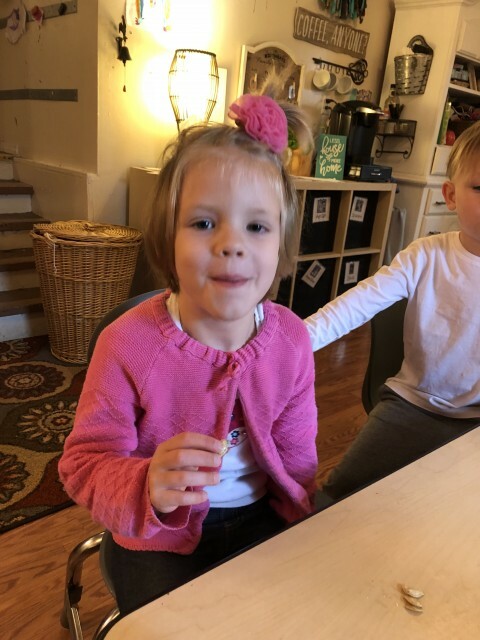 A young child’s natural curiosity and willingness to explore new things make the preschool years the perfect time for beginning the science curriculum. 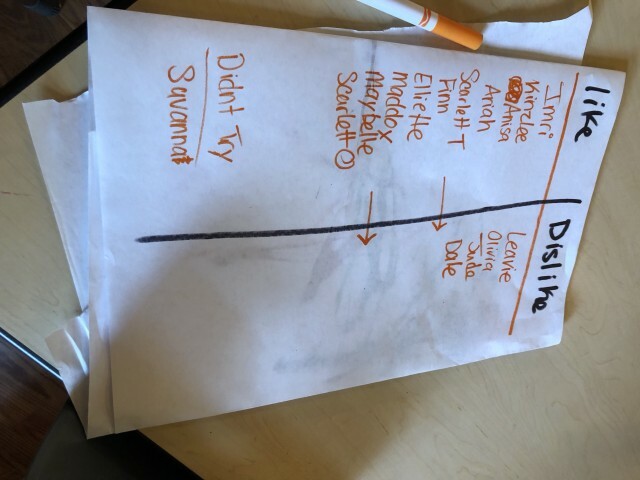 Many times math walks side-by-side a science activity like today when we graphed if we liked the taste of the pumpkin seeds or not.